For those who live in the frozen tundra all winter, a warm weather get-away can do wonders for mental health. By the time the magic of the holidays has worn off, months of dirty snow and gray days are still ahead. It’s the perfect time to ditch our winter boots for flip flops! In the spirit of trading chilly temperatures for frosty drinks, here are 9 travel destination ideas to escape winter weather. 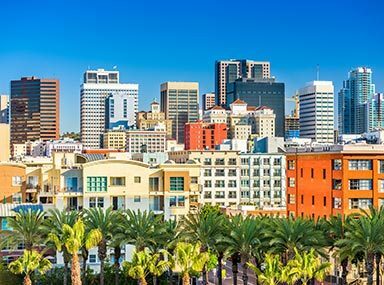 San Diego, California – With temperate weather and lots of sun, San Diego offers culture, beaches and tasty food for a relaxing winter get-away. Florida – Enjoy Florida’s Gulf Coast warm sandy beaches, Miami with its vibrant nightlife and famous South Beach Wine & Food Festival or Fort Lauderdale’s sun and surf. If you’re looking for a more remote island to get off the grid, check out Little Torch Key where televisions and cell phones are not allowed. Arizona – There’s a reason retired folks like Arizona in the winter. From the city life of Phoenix and desert beauty of Sedona to the stunning grandeur of the Grand Canyon, winter is a great time to enjoy Arizona’s warm winter climate. Texas – Austin offers temperate weather, great food, and a stellar music scene. 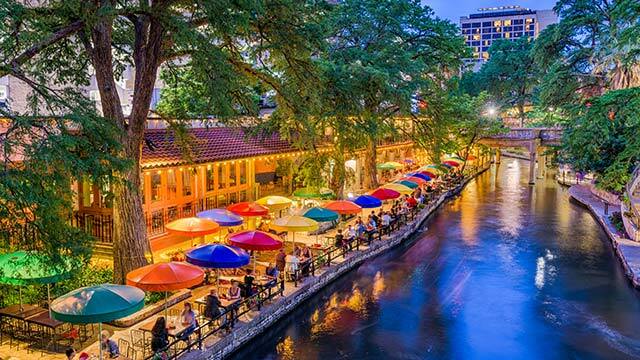 San Antonio offers tons of attractions and their famous Riverwalk. The Phoenix and Tucson areas are also a great option for a winter escape. Yucatan Peninsula – A gorgeous stretch of the Pacific coast promises warm beaches and plenty of adventurous activities. 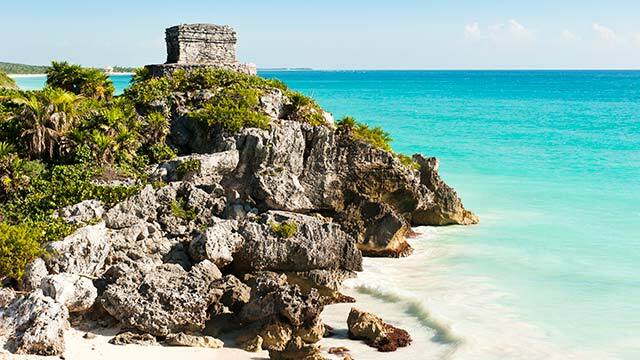 The Riviera Maya, Cancun, Tulum, and Playa del Carmen are hot spots for cold weather escapes. San Miguel de Allende – Voted as the World’s Best City last year by Travel + Leisure readers, San Miguel de Allende boasts a thriving culinary scene, a rich cultural history, and charming boutique hotels. According to U.S. News & World Report, the Hawaiian Islands came in #1 as the best winter vacation destination. With gorgeous terrain and warm sandy beaches, it’s no wonder Kauai and Maui made the World’s Top 10 Islands list. 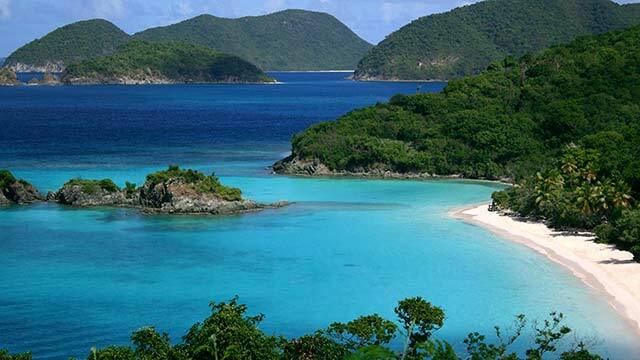 Enjoy temperatures in the 70’s and 80’s on the white sandy beaches of St. Thomas, St. John and St. Croix. You’ll appreciate the ease of using U.S. dollars while basking in the undisturbed nature of the stunning scenery of the Virgin Islands. A warm-weather destination that seems straight out of a postcard, Turks and Caicos offer perfectly teal waters, coral reefs, and sparkling white sands. 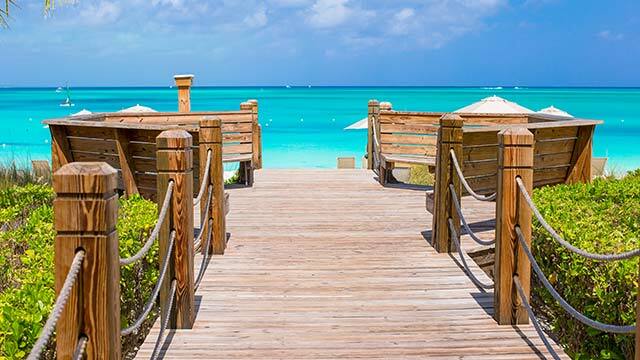 The popular Providenciales island boasts of five-star hotels and all-inclusive options, giving you absolutely nothing to worry about but relaxation. A warm-weather paradise awaits you with 118 islands stretched out smack in the middle of the South Pacific. 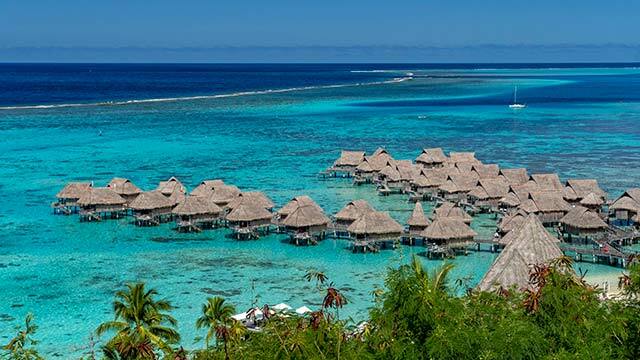 Scuba dive in the crystal clear waters of Rangiroa, soak in the sun on the warm sandy beaches of Tahiti or nibble on fresh seafood while enjoying the sunset on Bora Bora. Winter is the best time to head to the Bahama Islands. You miss hurricane season, enjoy warm weather and have a whopping 700 islands to explore. This warm weather destination is an ecological oasis, a boater’s paradise and claims to have the clearest water on the planet. When we are enduring the long winter months, New Zealand is enjoying their summer weather. 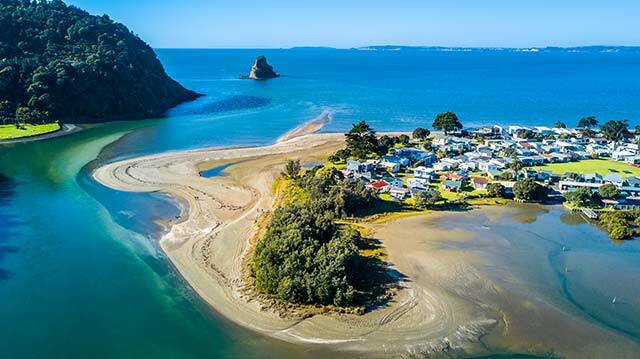 When it comes to breathtaking landscape, friendly locals and exploring a fabulous culinary scene, New Zealand is a great choice for a winter vacation paradise. 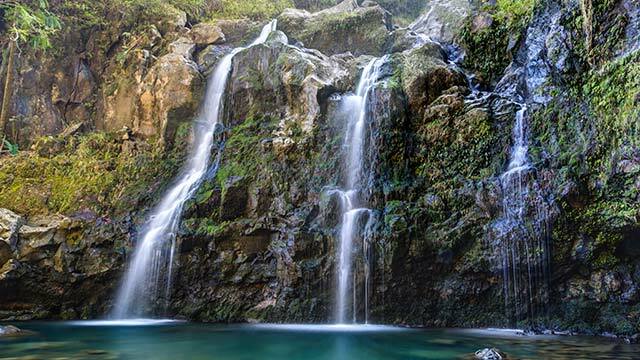 Costa Rica enters their dry season in January, ushering in warm weather and local winter festivals to enjoy. 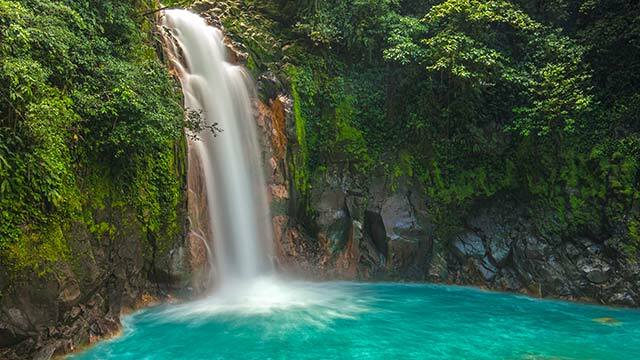 With tropical waterfalls, beautiful beaches and unique wildlife to explore, Costa Rica tops the winter escape list for relaxation and adventure. Go ahead and take a break from the long, cold winter! 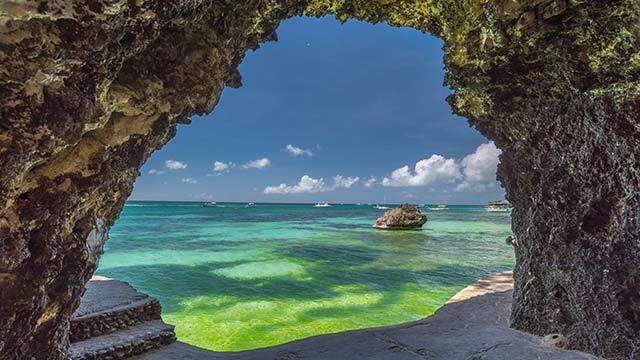 Treat yourself to one of these 9 warm weather destinations to shed some layers and revive your soul. You’ll be glad you did.